In some cases, the journey is half the fun. This is not the case when it comes to water balloons. You have to get the balloon around a spiget without tearing it. Then you have to cut off all circulation in your finger to tie the damn thing. 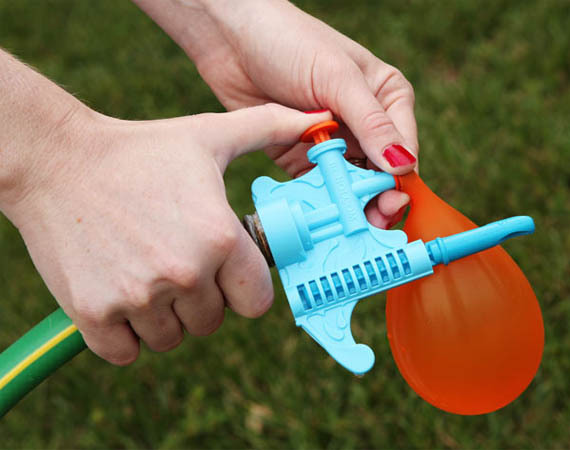 Get right down to the fun with the Water Balloon Filler. Here to make your battles more wet and wild, it fills and tie a water balloon in under 30 seconds. Once you get the hang of the easy, four-step method, you can create balloons bombs at ten times the pace it would have taken you the old fashioned way.